Use tax credits to offset part of a new furnace's cost. If you are in the market to replace your furnace, there is good news. A new furnace can be expensive, ranging in cost from several hundred to several thousand dollars. However, the Internal Revenue Service offers tax credits -- more potent than tax deductions -- for furnaces that meet certain qualifications. 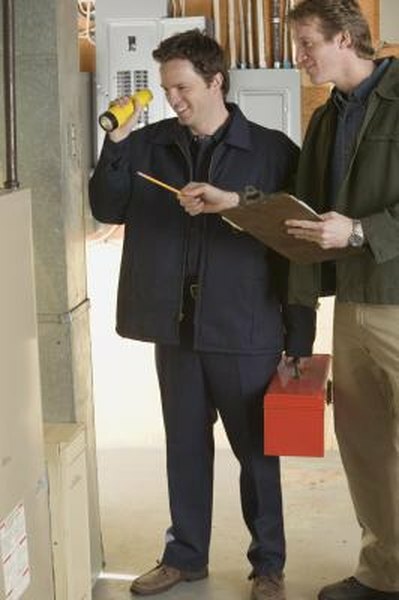 All of the qualifications fall under energy efficiency. The IRS offers Residential Energy Credits as part of its energy efficiency incentives for home improvements The IRS allows you to receive up to 10 percent of the purchase and installation costs associated with a new furnace as a credit on your income tax return. You can use this tax credit in the year in which you bought and installed the furnace. The limit on the tax credit varies from $50 to $300, depending on the type of furnace. At the time of publication, the credit was due to expire on December 31, 2013. Unless otherwise noted, to take advantage of most of the furnace-related tax credits, you must install the furnace in your current, principal residence. New construction, second homes and rentals do not qualify. If you install a natural gas or propane forced-air furnace, you can take a tax credit of up to $150 against up to $1,500 in furnace and installation costs. In addition, if you install an advanced main air-circulating fan that blows furnace air through the duct system, you can use a $50 tax credit against a maximum $500 cost. The fan must be rated to use 2 percent or less of your furnace’s energy. If you live in a moderate climate, you may opt to purchase a heat pump instead of a furnace. Heat pumps can put out up to four times more energy than they use. You can take a maximum $300 tax credit on up to $3,000 spent on purchasing and installing a new heat pump. Another alternative to a furnace is a gas, oil or propane boiler. A boiler heats water that in turn heats your home by circulating through a system of radiant floors, radiators and baseboard heating units. You can take a maximum tax credit of $150 against a $1,500 total cost. If you claimed $500 or more for energy-efficient exterior enhancements to your home between 2006 and 2011, your 2012 or 2013 furnace purchase is ineligible for a tax credit. These exterior enhancements include exterior windows, doors, skylights and certain metal or asphalt roofs. To apply for the tax credit, file IRS Form 5695 with your 2012 or 2013 taxes. Save the Manufacturer's Certification Statement and your receipts for your records.